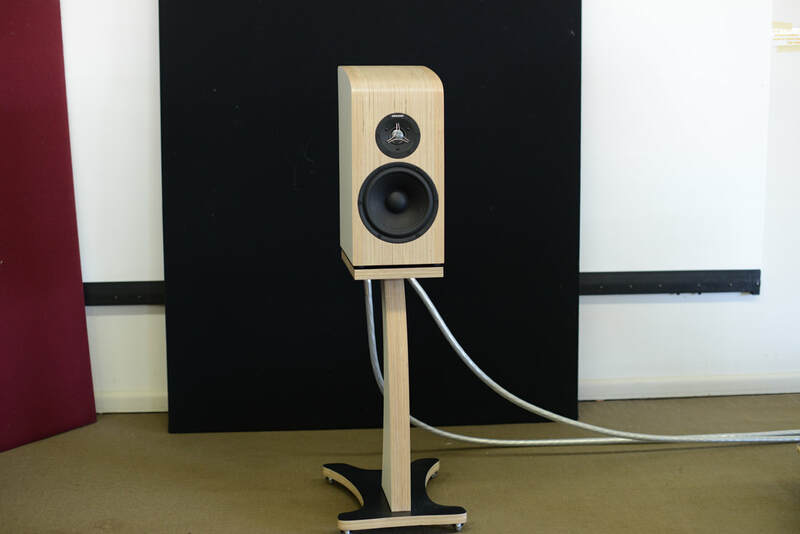 For our June club meeting, we are very pleased to have Mark Thomsen of M8Audio present his applauded ‘Sweet Maxwell’ speakers. These are speakers with exceptional musicality, life-like detail and low distortion. 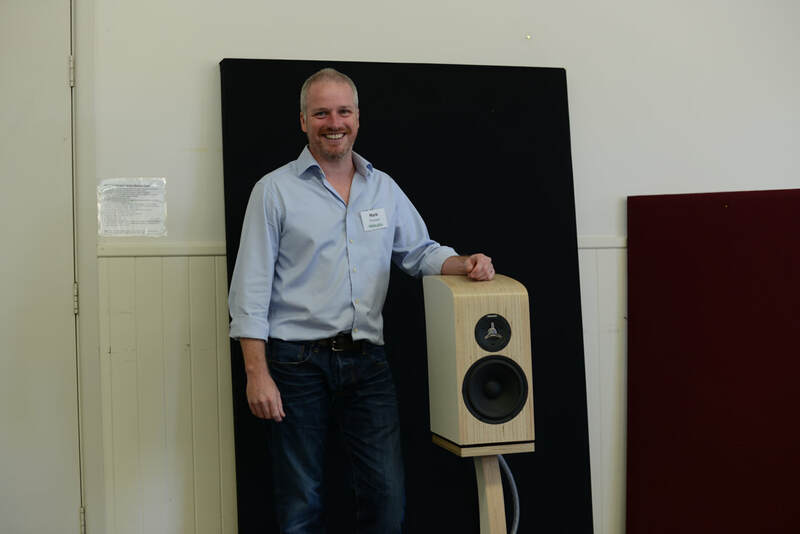 Mark garnered much attention with these speakers when he presented at the Munich High End 2018 Show just last month. M8Audio ‘Sweet Maxwell’ speakers. Low frequency driver with Egyptian papyrus diaphragm and neodymium motor driver… pure beryllium tweeter diaphragm with neodymium motor driver… cross-over with edge wound baked air core coils of exceptional quality and superior polypropylene capacitors… 100% hand finished cabinet made from cross laminated European birch veneer utilizing precision CNC machines to effect the curvatures… polymer viscoelastic feet… there is a lot of technology and craftsmanship in these speakers. You really have to check-out their design and specification on the M8Audio website to get the full picture. Classe CP-800 preamp/processor. Refer to http://www.classeaudio.com/products/cp-800.php and http://www.stereophile.com/content/class233-cp-800-da-preamplifier. Oppo BDP-105D multi-format player. Note that we will be using the Oppo only as transport into the DAC. Cabling. Synergistic Research, ZenSati, Wireworld – we will see what sounds best with the speakers and amps in our room. The second half of the music sessions will be our popular BYO. Members and guests are welcome to offer music to share with us all. So bring along your favourite music on CD or flash drive (sorry, no vinyl this month). All we ask is that the music and recordings be interesting. We'll ask you to tell us a little about the artist/recording before it is played. Tracks over 6 minutes will be faded out, to give everyone a fair go. 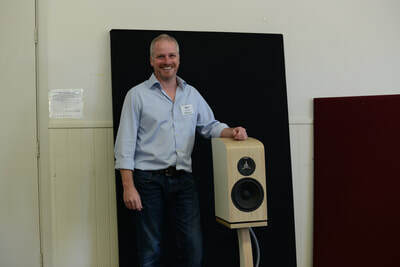 ​Our June meeting garnered many favourable comments regarding Mark Thomsen’s speakers and his presentation. 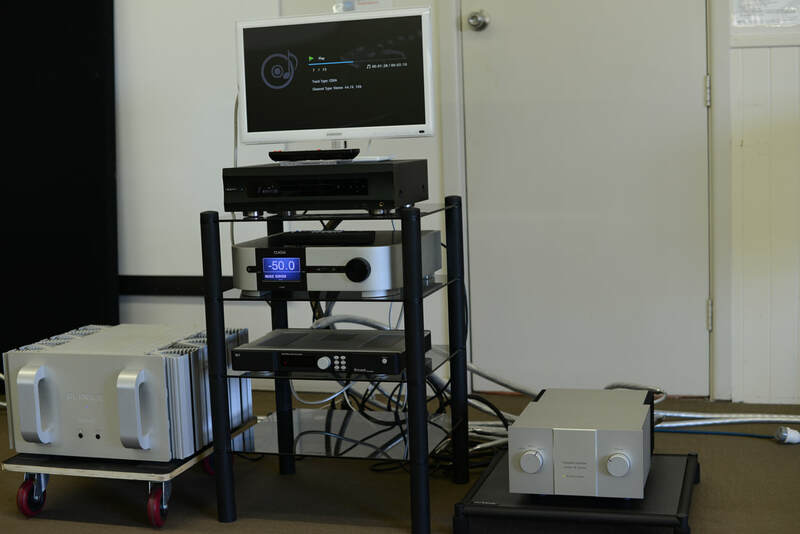 We had two separate amplification systems for the Sweet Maxwell speakers – one based on Classe and Plinius, the other on Technical Brain. Judging from the Feedback forms, it was clear that some people preferred one amplification system over the other. I was impressed with Mark's acute wonderful ears and his attitude – he could hear and describe the differences in the sound from both amplification systems, but to his credit he always enjoyed the music and allowed it to shine through, first and foremost.